Libby Pritchett Designs: New Bargain Bites & A Freebie! New Bargain Bites & A Freebie! 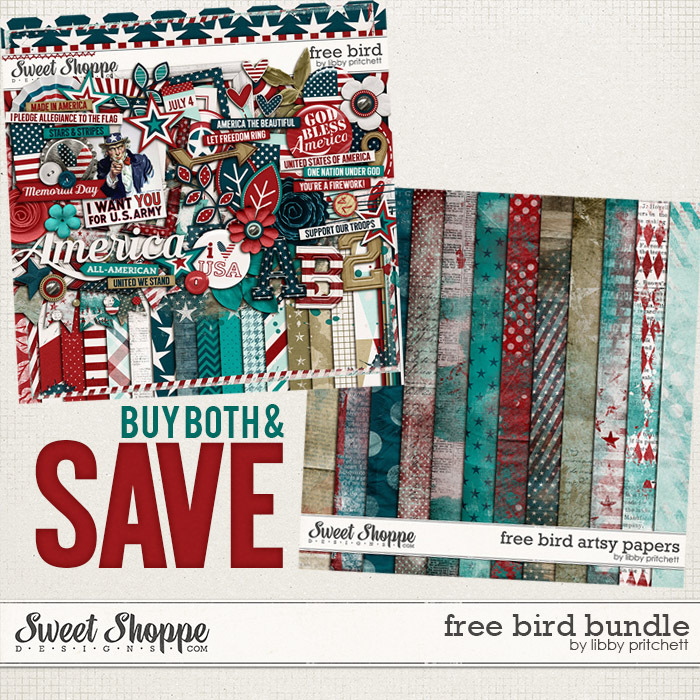 For a limited time, you can grab the Free Bird Bundle (which is already discounted) for an additional 40% off! I've also added the Talk To The Animals Bundle to Bargain Bites, so this, too, is available for an additional 40% off for a limited time! That's it for now! I'll be back this weekend with a new scoop with Erica Zane! 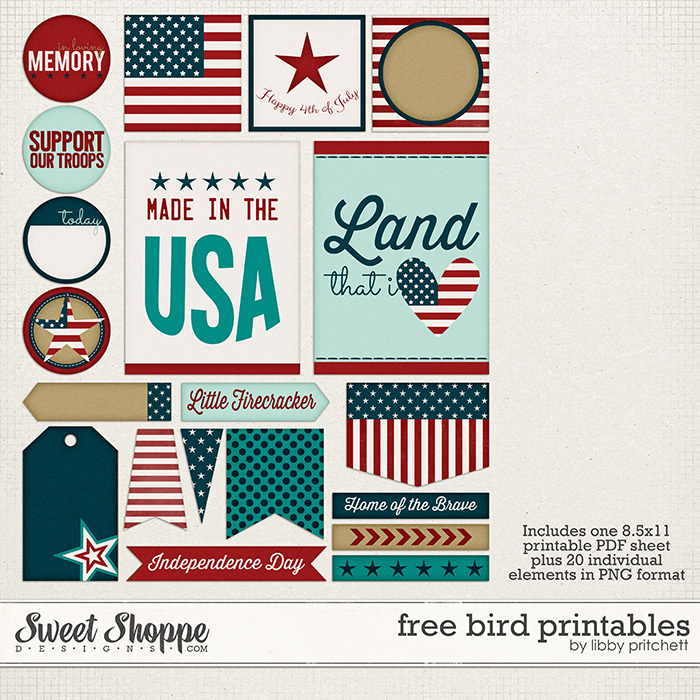 What a wonderful 4th of July kit! Thanks so much for the freebie. Can't wait to use it.